Nestled amongst the French Alps, just a short ski ride from the Swiss border, St. Jean d’Aulps-La Grande Terche is a postcard-perfect ski resort with some of the best slopes in the world-famous Portes du Soleil ski area. The charming Alpine village of La Grande Terche is set among the foothills of the stunning D’Aulps Valley, which is a favourite with families for its range of slopes for every ability. Its reputation has been built over many years of happy vacations and well-used holiday homes. Yet despite this, it is still one of the more affordable Alpine retreats. Snow-lovers have been living in St. Jean d'Aulps-La Grande Terche since the end of the 11th century, and the area is bursting with history and the unique culture of the French alps. The stunning ruins of the Aulps Abbey are still standing today, and if you choose your route well, you can even ski right up to them. Just a short drive from St. Jean d'Aulps-La Grande Terche lies the mirror-still Montriond Lake, which is a hive of activity and watersports in the summertime, and a glassy, peaceful place for winter reflection. Even the locals can still be surprised by the astonishing natural beauty of this area and living here does not detract at all from the joy of being in the mountains. Life in St. Jean d'Aulps-La Grande Terche is typically French, with cafes, restaurants and bars serving traditional Alpine fare such as cheese raclette. In recent years, there has been an influx of new investment in the local bar and restaurant scene. Local businessmen Olivier Guyard and Craig Durkin took over two historic buildings in St Jean d'Aulps, turning them into popular nightlife hubs, and the village has been slowly building a gastronomic reputation to rival nearby Morzine. There is an endless choice of things to do in St. Jean d'Aulps-La Grande Terche, in winter and in summer. In the winter months, kids and adults alike can take full advantage of the snowboarding, skiing and sledging on offer in the nearby area. And once the snow has melted, adrenaline junkies can get their fix with a spot of paragliding, abseiling or rock climbing on the surrounding peaks. The Parc Aquatique Wibit Les Gets is just a short drive away, and it is a favourite with local kids in the warm weather. And of course, there is always an abundance of activities on offer around the magnificent Lake Montriond – don’t miss the unforgettable Medieval flower village of Yvoire, just a 40-minute car journey from St. Jean d'Aulps-La Grande Terche. Why Choose St. Jean d’Aulps-La Grande Terche? In recent year, there have been a lot of investments in St. Jean d'Aulps-La Grande Terche, improving the slopes, bringing in artificial snow machines, and creating regular shuttle runs between the slopes of La Grande Terche and the nearby towns and villages. 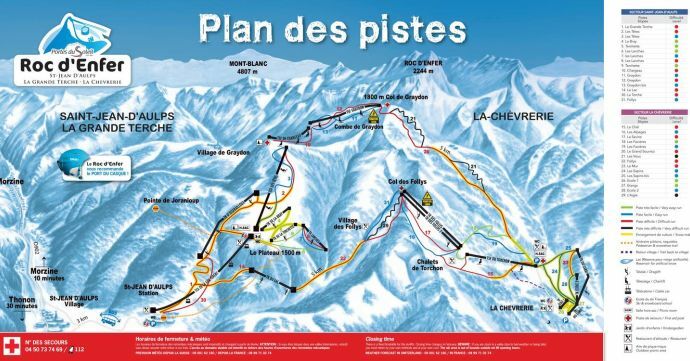 This makes skiing in St. Jean d'Aulps-La Grande Terche easy and fun, with the 14 resorts of Portes du Soleil right on your doorstep. A major investment programme across Portes du Soleil has created brand new skiing services and state-of-the-art facilities, which make any skiing trip hassle-free. 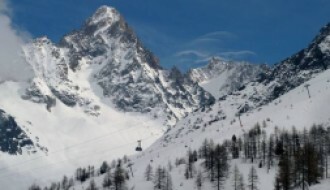 For most of the year, St. Jean d'Aulps-La Grande Terche is quiet, but between December and April there is an influx of tourists keen to explore the mountains. Experienced skiers love the multitude of fresh, off-piste tracks, while junior skiers can take advantage of the numerous ski schools and low-gradient slopes around the area. 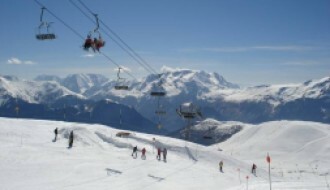 As with most ski resorts in the Portes du Soleil area, the pistes are well connected by a network of chair and drag lifts, which means that visitors are free to plan their own adventures across the vast expanse of snowy peaks that surround La Grande Terche. Snowfall is regular and deep, reaching depths of more than 200m at the top of the mountains. 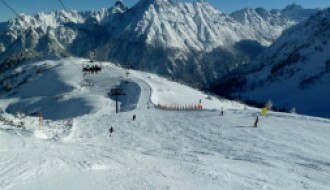 For live snow and weather reports for the area, take a look at our St Jean d’Aulps-La Grande Terche resort guide here. Here, you can find your daily snow report for St. Jean d'Aulps-La Grande Terche, as well as weather reports for St. Jean D’Aulps-La Grande Terche and the wider Portes du Soleil area. Getting to St. Jean d'Aulps-La Grande Terche is quick and easy. Geneva Airport is just a 67km drive by car, although it will involve crossing the Switzerland/France border, which could add some delays. Buses, taxis and shuttles are also available, if driving across mountain terrain is not to your liking. There are multiple flights from across the world to Geneva, with the average flight time of a non-stop flight from London to Geneva standing at just one hour and 45 minutes.